-It has the depth which does not put pressure on the toes and toe nails of your kid. -It has wide shoe toe providing more are of movement for the toes. 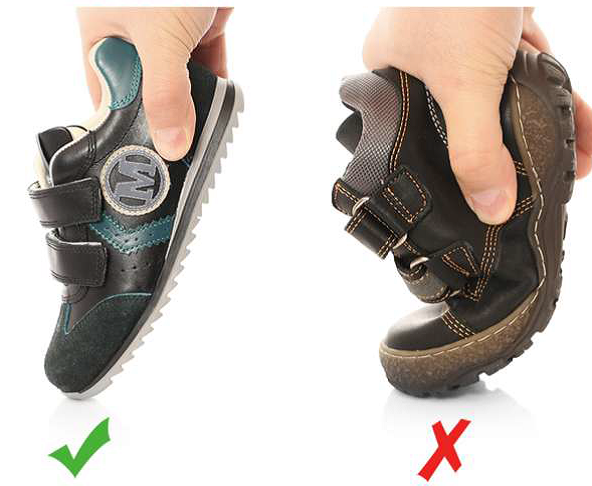 -Prevents the problems such as flat-foot and deep arch when the foot of your kid is being shaped during the first few years. -Our products are made of healthy, natural and most importantly from flexible materials rather than hard ones; therefore they are suitable for he mobile and active lifestyle of your kid. -Orthopedic insole and back support prevents the formation of the in-toeing problem. -The “Soft Effect” in the insole provides a comfortable and health walking experience to your kid. -Since the high heel Shoes may cause the onward shift and squeezing of the toes of the active child, our flat-foot model enables easy walking of your kid. -As your kids spend lots of energy for walking during their first ages, our products which weight the lightest possible, maket his easy for your kid. -The most appropriate width surrounds the ankle without letting it to move. -Provides the air circulation necessary for he sweating feet of the children and absorbs the sweat with %100 natural inner and outer leather structure (according to the model). -Our products are manufactured with innovative details following the technology and with fashion design. -The products that provide the necessary space fort he expanding of the foot while choosing a Shoe for your kid.